It’s always refreshing to start a new year! A time to push the restart button. A time to reflect on the past and look forward to the future. There is no better time to look at 2015 with changes that will improve our lives. As farmers, we feel there is no greater job or responsibility in the world than to grow food for families. But there are some things that could be better for families. So here is a farmers wish for consumers (and families) in 2015. 1) We wish for more truthful and less confusing marketing. 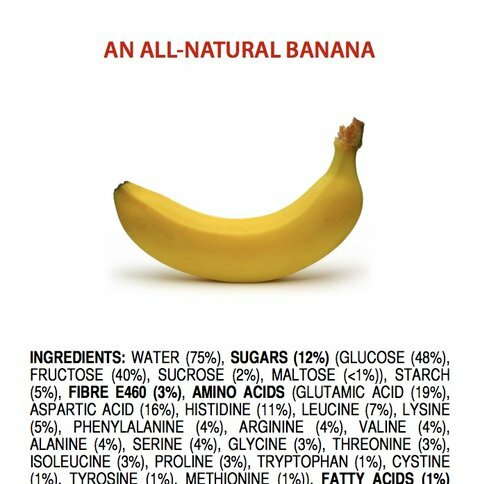 We wish there was a clear, concise understanding of the words “natural”, “antibiotic-free”, or “hormone-free”. Farmers are sorry that going to the grocery store creates so much confusion and fear in trying to decipher labels. U. S. farmers produce some of the safest and healthiest food in the world. Unfortunately, when our animals/food leave our farm, we have little oversight in the marketing and packaging of food. 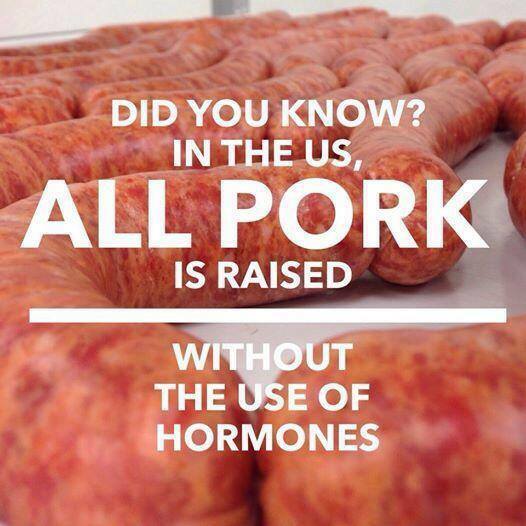 No Additional Hormones In Any Pork or Poultry. Ever. 2) We wish there was a place to go to look up unbiased information. It’s tough. Everyone has an agenda. Everyone. Even I have an agenda because I truly believe we grow top-notch food on our farm using the methods we do. We wish consumers could see and experience what we do. This helps to understand the farmer’s biases. It does take critical thinking skills to sort out all the “noise”. To know and understand who and where the information is coming from. Ask questions. Farmers wish it wasn’t that difficult for consumers to get the clear, truthful information. Honestly, farmers would love that “look me in the eye” type of conversation so consumers can get the information right from the source. Which is what all consumers want. 3) We wish celebrity TV doctors and social media babes were not so influential on consumers. Bottom line – their influence = dollars in their pockets. Their influence is not about truth, but rather about conspiracies and fear. Fear that is caused by simple statements such as “if you can pronounce the word, you shouldn’t eat it.” Farmers wish consumers would follow respected experts in their respective fields. Farmers wish consumers would care more about the right message and truth and less about the emotions they are feeling when listening to these celebrity figures. Can You Pronounce Every Word on this Chart? 4) We wish people were more accepting of people’s individual choices. Farmers know there is no “one size fits all” when it comes to food choices. That’s why we have all types of farmers. It’s about choices, both for consumers and farmers. Farmers farm in the way that works best for them, whether that means traditional or organic. The best is determined by markets, expertise and resources available. And consumers choose food based on what works best for themselves, depending on time, preferences, and monetary resources. But, unfortunately, there is a small vocal, influential group of people that can and will make food choices for the rest of consumers. And many times without their knowledge or consent. We should be respectful about consumers’ food choices. And we should NEVER make anyone else feel bad for the choices they make. Ever. 5) We wish consumers knew that farmers don’t like using antibiotics for their livestock. We wish we did not have to use drugs on our livestock. Drugs cost money and farmers have to pay for that. We have no Obamacare for our animals. Farmers wish consumers knew that farmers perform numerous measures to prevent livestock illnesses such as vaccination programs, a clean environment and minimize stress. And if we do need to use drugs, we follow the withdrawal times specifically outlined for each drug. We keep records of what medications are used. There are no exceptions to following drug protocols. Because we also eat the same meat we sell, it just reinforces another reason why we would NEVER sell animals with any drug residue. And farmers are also concerned about drug resistance and that’s why we support research to determine what is the true cause of drug resistance. Farmers wish people knew that we do everything to raise the most healthy animals possible. 6) And I personally wish for a world of free of food allergens. I wish for foods with added health benefits such as Omega 3 oils. I wish for foods that would be low glycemic to help diabetics. I wish for foods that are rich in carotenoid that could help macular degeneration of the retina. Farmers want our food supply to be as helpful and healthy as possible. 7) Farmers wish consumers knew that farms are run by people, not by machines. Yes, farmers do use some machines that help with efficiencies, but animals are still cared for by people. Animals are not on an assembly line like a factory with very little human interaction, despite what others may say. We are not factory farms. Many farmers consider farming a calling. Many of them would never choose another occupation. We are farmers who take care of the animals and take of the soil and environment. Every single day. And farmers wish people would ALWAYS remember that. And, lastly, on my personal the wish list for consumers is to spend more time on child hunger and food wastage issues. That truly is my wish. . . . Awesome post, Wanda! Very powerful. Thank you for all you do! Here is a good example of what happens when the animal leaves the farm. Lets see. Calved on pasture. Stocker cattle on pasture. Finished on grain in a feedlot. Sounds like the US beef industry to me. The cattle farmers and ranchers are taking it on the chin in this marketplace while the global meat packers are raking in the extreme profits. $852 million in earnings for Cargill last quarter. Up 66% from last year thanks to live beef prices being substantially down. And people wonder why small and niche farmers are upset? We try to differentiate ourselves in the marketplace and the big boys mess with the markets. I don’t raise or process beef but have plenty of friends that do. Most of the “confusion” in the marketplace comes from the big boys. And it always amazes me that farmers, who still have credibility with the public, carry their banner. I just always try to figure out why? Hog farmers will be in the same situation. They are forecasting records lows November/December for the hog market. Not looking forward to it. Unfortunately, not everyone can be a niche farmer and make it sustainable for themselves. Farming is cyclical and we will get through these low times, just like we always have. And when the cycle goes up, we will make good profits. Just a very risky business.